The Industrial Workers of the World was founded in the United States in Chicago in 1905 and was informally known as the Wobblies. It was a revolutionary union that sought to unite the working class (those in paid work) in One Big Union and its preamble contained the following: “The working class and the employing class have nothing in common. There can be no peace so long as hunger and want are found among millions of the working people and the few, who make up the employing class, have all the good things of life. Between these two classes a struggle must go on until the workers of the world organize as a class, take possession of the means of production, abolish the wage system, and live in harmony with the Earth.” As such it in many ways replicated the ideas of the First International, the first international organisation of the working class, founded in the previous century, a fact not often remarked upon. This fiercely anti-capitalist and militant stance attracted both members of the American Socialist Party, anarchist and unaffiliated class-conscious workers. The IWW was and is certainly not an anarchist union but attracted many anarchists into its ranks from the start. 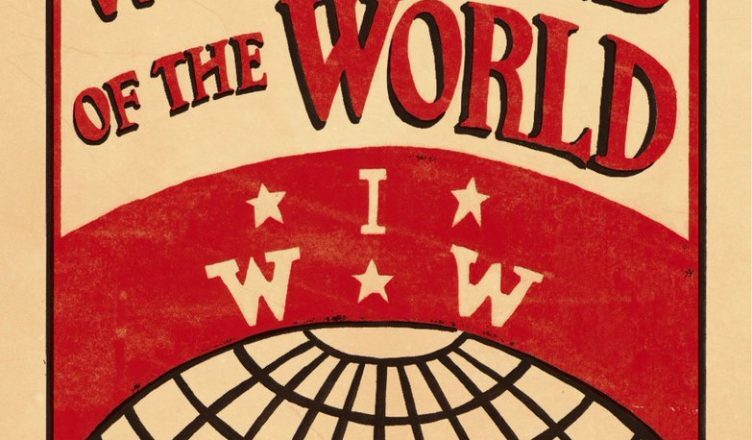 This book deals with the international scope of the IWW, how it spread to other countries, often through the idea of the One Big Union being carried overseas by seafarers. The editors have assembled a number of essays on the IWW in other countries and this includes on indirect influence on other workers’ organisation. So we have articles on the IWW in Australia, Canada, Mexico, New Zealand and South Africa, their influence on the ideas of Jim Larkin and James Connolly in Ireland and on radicals in Sweden and South Asia. Also included is the influence of the IWW on immigrants to the USA, Finnish, Italian, Japanese, Mexican, Russian and Spanish workers, as well as among African-American workers. Unfortunately left out of this history are accounts of The IWW in England and Scotland, Chile (briefly touched upon) and Germany, where IWW sailors were active in the ports of Bremen and Hamburg. Perhaps a second volume could address itself to these gaps in international IWW history. As the IWW saw itself as a union organising all of the working class, it attempted to do this across racial and ethnic lines, as in the Deep South, where it rallied both black and white workers, and in California where it organised among Anglo, Mexican, Greek and Italian workers. There were difficulties in doing this, and the relationship of the IWW to black workers could have perhaps given more details of the problems faced. William Covington Hall (not mentioned in this book) came from the Southern aristocracy and he strove to organise all workers in the South, discarding the racist sentiments of his class. However, Covington Hall’s concepts of race and class are often expressed in class reductionist terms as with his slogan: “There are no niggers, greasers, or white trash in the union, only men!” which doesn’t really address the specific concerns of any of these three groups. The role of Italian anarchists in the Paterson silk workers strike organised by the IWW is highlighted as is the work of Slovene anarchist Andrew Klemencic and anarchists among the Western Federation of Miners and American Labor Union who affiliated to the IWW at the founding conference. In 1913 the sociologist Louis Levine wrote about the “numerous anarchists who have joined the organisation in the past few years. In the Far West and in the East many of the IWW locals are dominated by anarchistic elements, who have come to regard the IWW as the most promising agency for revolutionary propaganda and action”. The activities Scandinavian anarchists involved in the IWW like John Sandgren, William Risto, Carl Paivio and Gust Alonen are also described as also those of the Bulgarian George Andreytchine. The Union of Russian Workers composed of Russian immigrants had adopted an anarchist programme and encouraged joint membership of the IWW. On the West Coast, anarchists in the Japanese Workers Union affiliated to the IWW. Nowhere was support stronger though than among Spanish speaking workers, both immigrants from Spain and Mexicans influenced by the ideas of the anarchist Ricardo Flores Magon. As Kenyon Zimmer notes:” … Quite often it was through these anarchist intermediaries that the IWW and its influence spread outside the United States”. Also examined in detail is the relationship of the Ghadr movement of India and its diaspora which fought against British colonialism. There was some crossover of membership with the IWW among Indian workers in the USA, and two leading Ghadr militants, Pandurang Khankhoje and Har Dayal were Wobblies. Dayal even founded the Bakunin Institute in the Oakland hills. In 2003 the late Chicago Wobbly (and anarchist and surrealist) Franklin Rosemont complained:” Amazingly, after all these years there is nothing even faintly resembling a comprehensive and reliable history of the union”. This book goes a long way in providing that history, in particular the influence of the IWW beyond the USA. This fascinating book is an important contribution to labour and revolutionary history.